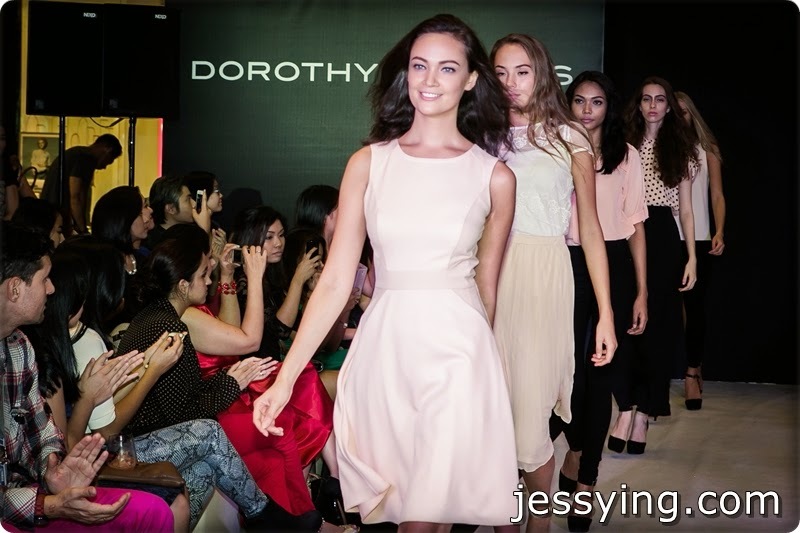 Last month I had the privilege attending on my favourite fashion brand fashion i.e Dorothy Perkins Spring & Summer 2014 Collection Fashion Show in Paradigm Mall. 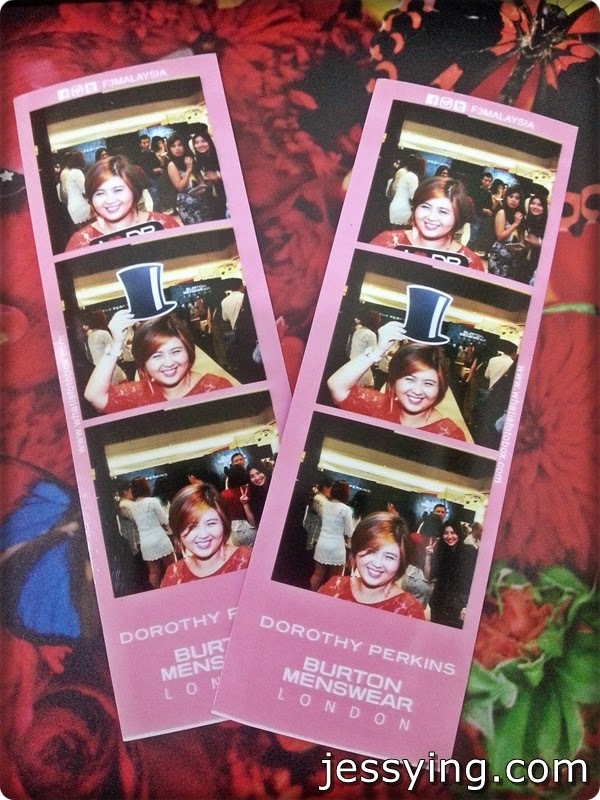 If you have been wondering where usually I get my fashion fix, my answer would be Dorothy Perkins! Thanuja Ananthan was the emcee of the night, she is also our Miss World Malaysia 2009/2010. This Spring/Summer Dorothy Perkins embraces two key looks: pretty and feminine pastels and geometric graphics with a sports luxe feel. Enjoy the pictures and leave a comment which one is your favourite ya! The pastel trend signals the return of femininity, combining sheer and lace textures with delicate organza details. Red Floral Maxi Dress on the far right is absolutely gorgeous and if only I had the height I would totally get this! And yes I bought the coral lace top already :D In fact I had few lace top in different colours, and yes I am crazy about lace! The graphic trend combines minimalism and geometric prints for a relaxed easy to wear collection. Laser cut, asymmetric finishing and colour blocking are mixed with sheer panelling and midi length styles. The monochrome colour palette receives an injection of colour and the inclusion of delicate floral prints. My friend Juli got the printed dress on the left while I bought the the chiffon blue top! Jacquard and lace pencil skirts are worn with a slub fit logo tee and a biker jacket. Separates are key for Spring Summer – whether it’s a midi skirt teamed with a dip-hem top or wide leg palazzo pants with a translucent blouse. The midi length is a must have - whether in a sheer panel detail dress or printed skirts. For casual wear, washed out denim is mixed with the soft pastel palette. Simple tees are given an instant update with pretty embroidery and jacquard detailing. The summer sweat makes a playful return with fun logos and lace wording. Long-line blazers and fitted zip detail jackets are the perfect outerwear options and footwear classics like the flat brogue and simple court get a feminine make-over in sugar pastel colours and metallics. I am into chiffon blouse recently and I'm liking the colour block chiffon top on the right. Co-ordinated sets in fresh whites and soft tones are worn together to create a ladylike chic silhouette, worn with metallic flat sandals or strappy heels with a fold over soft clutch to finish the look. Dorothy Perkins also suggested tailored high waisted shorts to pair with dip-hem top as this will make the ideal sports-luxe look along with the sheer sleeve bomber jacket and a structured neon mini cross body bag. I'm loving all the pastel colour under Dorothy Perkins Spring/Summer 2014 collection! 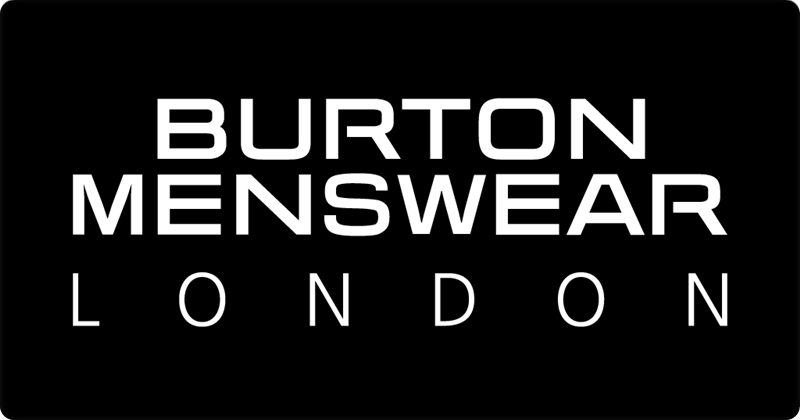 Burton Menswear message for this Spring and Summer 2014 is loud and clear; simple, stylish and confident is the way forward. Through a cohesive, wearable and masculine collection, Burton lives up to its promise of making it easy for every man to wear great clothing. Clear trend stories with vibrant summer colour palettes, cool street-wear, vintage refinement and perfectly cut tailoring provide the definitive summer wardrobe. Our first story sees a Tropical Ranger take on the challenges of urban living. Bold floral prints and colour-flash is teamed with khaki, pebble and stone creating the sense of a summer garden city rich in colour. Dip dye shorts, hooded fisherman jackets in yellow and bright green and washed denim are worn hand-in-hand with floral and Hawaiian fabrics. A back-pack comes with an all-over green, black and yellow leaf print, the ultimate accessory for the urban jungle. City living is explored further with the Gothic Skater and California Warrior trend. Here a darker, moodier palette takes over with black, slate and white creating a sporty and decidedly laid back approach to summer dressing. Grey marl drawstring joggers and navy jersey make a simple but significant statement. Black wash denim shirts partner with monochrome baseball jersey tops and the Gothic Skater is ready to roll. Rich, natural colour dominates the theme of our next trend – Botanical. Here we find some of the most striking and daring pieces from the collection including tailoring in teal and cobalt, both suits exquisitely slim-cut and contemporary. Multi-colour yarns represent the less tame side of nature with mixed shots of light blue chambray, apricot, maize and salmon in lightweight summer knitwear. Team with chinos in rose or light indigo and let Mother Nature work her magic. It’s time to smarten up our act, and for this we look towards the timeless and elegant pieces that are intrinsic to stylish menswear. Wardrobe staples such as the single breasted mac, pale blue and pink linen tailoring and a light chambray collarless shirt make up the Vintage Traditions range. Traditional navy, stone and mushroom appears alongside pastel hues of lilac, spearmint and pale pink to create perfect modern classics. At the event, a number of Malaysia’s top celebrities were dressed in the latest Dorothy Perkins and Burton Menswear Spring & Summer 2014 outfits. Men who were all decked out in Burton Menswear were Zizan Razak, Jack Lim, Jonathan Putra, and our very own Malaysian Idol, Daniel Lee. Besides Thanuja Ananthan, celebrity such as Diana Danielle, Ng Kar Yoon and Tan Ley Teng were all daintily dressed in DP.